Product and ordering information for BRANDplates® Insert Strips: For use with BRANDplates® Insert System microplates; Smooth-walled or Inlet Opening System; PC or PET; 0.4µm, 1.0µm. 3.0µm 0.8µm; for secretion, chemotaxis, migration, co-culture, etc. 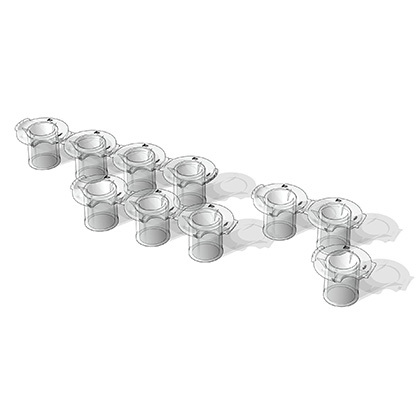 Inserts are available either smooth-walled or with special inlet channels (the Inlet Opening System*). 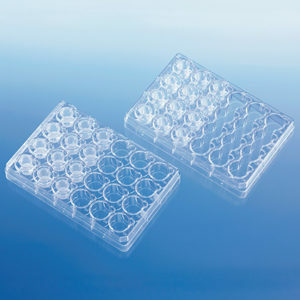 The smooth-walled inserts are well-suited for standard applications such as secretion studies, co-culture, and chemotaxis studies. The Inlet Opening System enables rapid, consistent changing of media, from submersion culture to air-lift culture. The special inlet channels also enable adjustment of the medium level without damage to the tissue model. 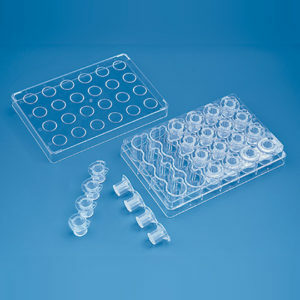 Inserts are also available with either PC (translucent) or PET (transparent) membranes for different optical requirements and cell visiblity, and in multiple membrane pore sizes for different applications. Through the many possible combinations of the Insert System you can respond flexibly to the different experimental needs and create perfect culture conditions. 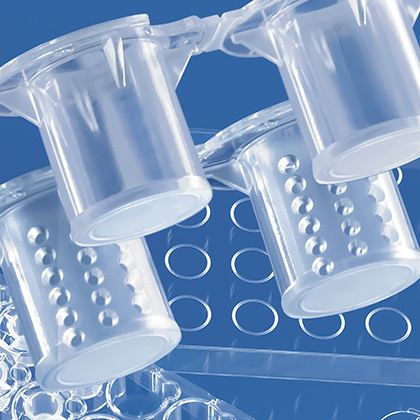 PS, cellGrade™ plus surface, sterile. 12 strips of 4 divisible inserts (Individually wrapped).